BRYAN EATON/Staff Photo. 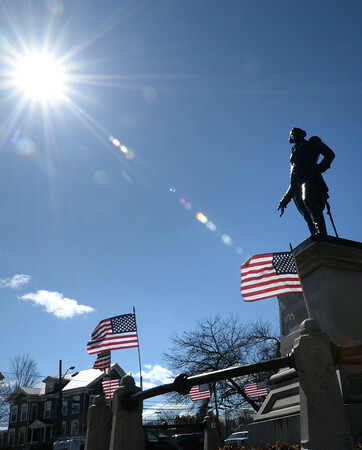 The sun was shining bright yesterday but a strong wind kept these American flags horizontal beneath the statue of President George Washington at the Bartlet Mall in Newburyport. Small branches were seen on the ground in spots throughout the area.